We are committed to helping provide for the physical and spiritual needs of people locally and throughout the world and by so doing enhance the quality of life. Bethel's Global Reach Inc. is a non-profit 501 (c)3 organization. We exist to take the Life changing message of Christ to the lost, disciple nations, feed the hungry, clothe the poor, minister to the elderly, widows and orphans, visit prisoners and reach out to people of all ages and in all walks of life. We provide humanitarian aid to all hurting people first in the community, then state, and to the far regions of the world. Our goal is to reach every nation, every city, every day with the Gospel of Jesus Christ. We accomplish this with team of volunteers who are committed in time, talent and treasure for the wellbeing of all mankind. Our Mission Teams Serve Locally, Stateside, across the nation and even to furthest parts of the world. We provide Medical, Dental and Humanitarian aide to communities all over the world. We access our deep data bank to pool resources in order to strategically place personnel in the places that need it the most. Our mission is NOT to save the world, but to assist communities with the basic necessities required for quality of life and then help to equip the communities with the education needed to sustain it. Bethel's Global Reach has a uncompromised belief in the inspired Word of God. We hold to the truths of the Holy Scriptures. We further believe and cling to The Great Commandment and The Great Commission as given in the Bible. We believe that God himself has called us to worldwide missions by the commands of Matthew 28:19-20 "Go therefore into all nations, baptizing them in The name of The Father, The son, and The Holy Spirit, teaching them the things in which you have been taught. And lo I am will be with you always, even until the end of the age. Bethel's Global Reach began in the summer of 2009 with a vision to impact the world for the cause of Christ. 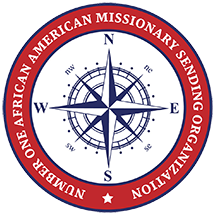 We looked at the great divide that existed between the missionaries that went into largely African Countries and the disparaging number of African American missionaries. With this we incorporated a group of people who had a sincere heart to reach people all across the world. In September 2010, Bethels Global Reach Inc was organized as a Non-Profit 501c3 organization. Our mission statement was clear from our inception. "We are committed to helping provide for the physical and spiritual needs of people locally and throughout the world and by so doing enhance the quality of life." With the formation of our Board of Directors in place, we were poised to make the lasting difference. In the five years of our existence we have deployed 2000+ missionaries to foreign missions fields. "Operation Clean Water" | Dr. Luke's Missions | Kenyan R.E.A.D. Initiative are grassroots projects that help to change the world that we all collectively all share. We exist to be agents of change, so that future generations will benefit. We have continued to innovators on the missions' field. We have placed more than 15,000,000 dollars in Medical, Dental, Educational, and Hygiene Supplies to remotes regions around the world! A Christian counselor and Biblical studies expert with over 20 years of experience in worldwide ministry, Pastor Marcus Dewayne Holman is ready to take his knowledge, ambition and inestimable skill to the next level. After a successful run as a counselor at the prestigious International Institute for Christian Counseling, Pastor Holman plans to develop his leadership and constantly improving track record to establish Bethel's Global Reach as the preeminent international missions expert. Pastor Marcus Dewayne Holman Sr. received education at Texas Southern University with a major in business finance. In 2002, Pastor Holman received his accreditation to be a Certified Christian Counselor from the International Institute for Christian Counseling (I.I.C.C.). In 2004, he furthered his education in Christian Education at the College of Biblical Studies. Pastor Holman was united in marriage on March 17, 2001, to his beautiful wife, Jaime. Pastor Holman is a sought-after entrepreneurial leader in counseling, Christian education as well as Business Strategies. With an unrivaled and highly effective ability to organize and build leading initiatives and develop new and dynamic community services in both domestic and international contexts in multiple fields, Marcus Holman has been able to continually push his work past the expectations of even the hottest and most crowded areas of expertise. If education, counseling and international outreach are to have a central impact, Pastor Holman is uniquely qualified to lead the next new wave of educated, skilled and knowledgeable Christian ministers. Now, with a track record of unparalleled achievement at each waypoint in his career, and a deep knowledge and understanding of both the education and counseling fields, Pastor Holman has brought together a wide-ranging body of knowledge and a peerless work ethic to establish a standard by which all other ministry may be measured. Pastor Holman's gifts has allowed him to extensively travel the globe to impact regions of the world like Nairobi, Kitale, Miguto, Gil Gil, Nakuru, Massai and other tribes in Africa, as well as Prague Czech Republic, El Salvador, Haiti, India, Jamaica, Costa Rica, Mexico, Belize, London, Paris, UAE, and the Philippines, Istanbul, South Africa, Tanzania, Guatemala, Amsterdam, Cozumel Dominican Republic, Israel, as well as across the continental U.S. He currently is President | CEO of Bethel's Global Reach. Under the leadership of Pastor Holman Bethel's Global Reach has sent over 2000+ missionaries and delivered more than 15 million dollars in humanitarian aide to regions around the world. 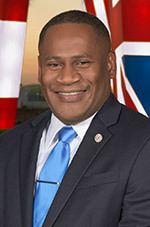 Pastor Holman has received several accreditations for his Global Humanitarian work including Presidential Service Award and Congressional Recognitions. Pastor Holman also serves on the board of United for Change and Southwest mentoring program for at risk youth. Pastor Holman is an active mentor and counselor. "But none of these things move me; nor do I count my life dear to myself, so I may finish my race with joy, and the ministry which I receive from the Lord Jesus testify to the gospel of the grace of God." In 1994, Pastor August organized and founded Bethel Family Baptist Church along with his wife, three sons, and six committed adults. Today Bethel's Family serves over 3,300 families, through 50 different ministries. In 1997, he accepted a call to Sugar Creek Baptist Church to serve as their Pastor of Missions. In his 7 1/2 years of service, he lead Sugar Creek through the help of God to start 58 churches and partnered with 50 more in the greater metropolitan area of Houston. Pastor August has traveled to Kenya, Africa and Czech Republic, doing evangelism training, medical clinics, and developing church leadership teams. He attended Southwestern Theological Seminary in Houston and received Honorary Doctorates of Divinity from Saint Thomas Christian College in Jacksonville, Florida and Encourager Bible College & Seminary in India. He is a board member of the Baptist Church Loan Corporation. In 2002, he co-founded the "College Institute for Church Planters" in Baton Rouge, La. In 2003, Pastor August started Bethel's Heavenly Hands Food Pantry and Clothing Center. Heavenly Hands is a 501(c)3 non-profit organization that has grown tremendously over the years and now serves over 8,000 people in the community per month. In 2004, Pastor August came to Bethel's Family full-time and the ministry flourished under his leadership and faithfulness to God Almighty. In 2006, his care and concern for families in the surrounding communities compelled him to create Bethel's Place. Bethel's Place is a separate 501(c)3 Community Development and Empowerment Center that serves over 500 people a week. In 2009, he launched the Young Men Development Initiative, Inc; a separate 501(c)3 organization that mentors and develops young boys ages 4-15. In August 2010, he opened the doors to Bethel's Christian Academy offering a viable faith-based learning environment to young families in the community for teaching and developing their children. Pastor August is married to his wife of 25 years Ruby and they have three sons and three grandchildren. "For a long time there was a tug in my heart" says Katherine Radley. "Knowing that there was something I was supposed to be doing. It was not until my first missionary trip to Africa in 2010 that I knew what it was. Growing up I have always admired the people that help those in need around the world. I love helping people and I have always wanted to spread that love throughout the world in hope of changing lives while doing so. With the power of God I am doing just that." 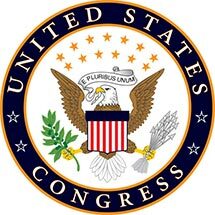 Born and raised in Houston, Texas, Katherine Radley attended Houston Garden and Concord Elementary School, Francis Scott Key Middle School and graduated from Jack Yates Senior High School. 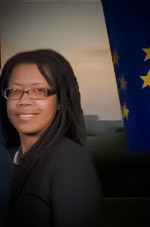 Katherine attended college and received her Liberal Arts Degree from Midwestern State and Masters in Criminology from University of Houston Clearlake. Katherine has been employed with the Houston Police Department for 16 years and currently holds the rank of Police Sergeant. 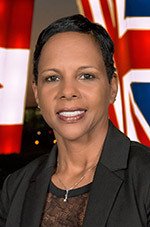 Prior to becoming employed with HPD, Katherine worked in various accounting and clerical positions, giving her over 20 years of administrative experience. Katherine grew up attending church at Lakewood Church, St. Emmanuel Baptist Church and was a member at Brentwood Baptist Church, prior to joining The Church at Bethel's Family in 2007. In 2010, Katherine renewed her public confession through re-baptism. Katherine attended her first mission trip in 2010 to Kenya, Africa, where medical treatment and evangelism was administered to over 3000 people. After returning from that mission trip, she was asked by Pastor August to be a part of the missions ministry the church was starting. Being a lifelong dream, Katherine accepted and has coordinated trips to Kenya in 2011 and 2012 and Czech, Republic in 2012. Darrellon Prince is the eldest of eight children. She was born in Houston, Texas and spent much of her childhood between Houston and Southern California. She graduated from Jack Yates High School in 1986. Darrellon joined the Marine Corps in 1987 and was medically retired in 2002. While in the Marine Corps Darrellon completed her Bachelor's Degree. She is currently working on her Master's Degree in Theological Studies. Darrellon is married to LaFonzo Prince, they have 3 beautiful daughters (Mellanee, Brianna and Hannah). Their youngest daughter, Hannah was diagnosed with Sickle Cell Disease SS. Darrellon noticed a need for a voice in the sickle cell community. In 2006 she founded Hannah's Sickle Cell Awareness. The organization's goal is to be a voice in the sickle cell community and let the patients know that they are important. Hannah's Awareness provides meals for the Oncology and Hematology patients at Texas Children's Hospital, parking passes and gift cards are also provided when funds are available. Hannah's Awareness hosts quarterly blood drives, participates in health fairs and speaking engagements. An annual event is held for the patients and families. Last year, six families were sent to the Houston Livestock Show and Rodeo. In 2014, the organization's name was changed to "The Pincushion Gang." Darrellon recently wrote and published a children's mystery book, The Pincushion Gang: The Noise Behind the Green Door. The main characters are patients with Sickle Cell Disease and other chronic illnesses. This is the first book of a series. When Darrellon isn't running the organization, she is on the mission field. She has been on over 11 mission trips, at home and abroad. "And do not forget to do good and to share with others, for with such sacrifices God is so pleased." 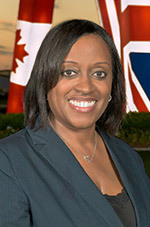 Lenora Waller was born and raised in Houston, Texas. She graduated from the High School for Health Profession in 1981 where she developed a passion for dentistry. After high school, she attended Xavier University in New Orleans, Louisiana to major in Biology. Later, she transferred to Texas Southern University and changed her major to Business Administration. In 1984, she started her career with the Smile Store Dental Office as an Insurance Coordinator and within five years, she was promoted to office manager. Throughout her tenure she enrolled in several leadership and management courses that enhanced her managerial skills. After 20 years of service, she went to work for Amazing Smiles in 2004 as the Business Manager. This new position was very challenging but rewarding. In 2011, the company opened their second location due to hard work and dedication. Along with many other gifts, Nora has been in the dental profession for over 30 years, by which she brings extraordinary expertise to the mission field. In 2010, she joined The Church at Bethel's Family with a strong desire to be active in the church. She enrolled in a spiritual gifts class where God revealed her gifts (compassionate, server, and a giver). After praying and asking God to show her which ministry to join, she was led to Bethel's Global Reach. "God placed me amongst his other children so that we may fulfill our purpose to bring God's will to pass." For two consecutive years she has recruited several dentist, medical doctors, and nurses to travel to Africa to provide medical services to less fortunate people. Currently, she is holding the position as a volunteer coordinator. 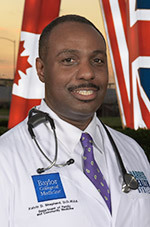 "Treat each patient with the same dignity and respect that you would show a close friend or family member-and excellence will surely follow" is often heard by medical students who work with Dr. Kelvin Shepherd, who is a Medical Director within the Harris Health System in Houston, Texas. Dr. Shepherd values the whole patient approach and believes that compassionate, quality care is a basic right and finds great satisfaction in working for Baylor College of Medicine with its long tradition of clinical service and outreach to medically underserved communities. Dr. Shepherd has been the Medical Director for the Same Day clinics, a new expansion project within Harris Health for the past year and is responsible for the overall clinical quality and daily operations of the organization's five clinics. He supervises an interdisciplinary clinical staff of physicians, Physician Assistants, Advance Practice Nurses, and nursing staff within the Same Day clinics. Dr. Shepherd is also an Assistant Professor with the Department of Family and Community Medicine at Baylor College of Medicine. He is excited to be part of such a unique public safety net system that offers patients the freedom to utilize multiple resources without fragmenting the quality of their care. Dr. Shepherd has been a physician for over ten years and previously was the Chief Medical Officer for El Centro de Corazón. 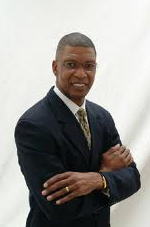 Dr. Shepherd earned both his Bachelors of Science in Biology and Masters degree in Education at Texas A&M University. His Osteopathic Medical degree is from the University of North Texas Health Science Center. His residency training in Family Medicine was at Cook County Hospital in Chicago. He completed a Faculty Development Fellowship with Baylor College of Medicine and a mid-management certification program at Rice University. Dr. Shepherd volunteers regularly as a physician for the Houston Health Care for the Homeless. He also has an interest in international medical mission work, and to date has participated in medical mission trips to Honduras, Haiti, and Kenya. 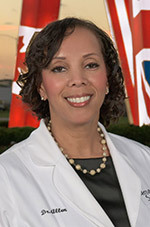 Dr. Allen graduated from the University of Houston in biology and the University of Texas Health Science Center with a dental hygienist degree. In 1995 she graduated from Howard University College of Dentistry. Dr. Allen began her practice with a group of dentists and during her tenure, she taught dental assistants at the Astrodome Dental Career Center. Her advanced studies include non-extraction orthodontics, Dawson philosophy in cosmetic dentistry, and a preceptorship on implants. She volunteered with a youth summer program for several years, performed basic dental treatment, educated and introduced dentistry as a career. Ultimately, her subsequent years of experience afforded her the opportunity to open her own private practice - "Amazing Smiles, PLLC."